I am so glad you joined us here at Cooking With Cricut today! You are in for a real treat, because Chef Jamie L. from Scrapin' 2 Baby Girls is bringing you some amazing projects that she cooked up with the Gypsy Wanderings Cartridge! Summer is almost here and that means that we are going to have more time to craft (at least that's what it means for me) and I think that I am going to get a lot of use out of this cartridge this summer! Jamie L. here and today I am showcasing Gypsy Wanderings. I really like this cart! Now it's true the only way to get this cart is if you buy/have a gypsy, but I think it's worth it (well it is for me anyway). This cart is jam packed full of all sorts of different cuts.. from shapes, to shadows, to tags, to phrases, and boarders. It has a large assortment of different things. Bunnies, flowers, hearts, cupcakes, owls, snow flakes, decorative flourishes... just lots of great cuts that can be used for ANYTHING! From everyday to holidays, wedding to baby, this cart has something for you! I have made a few things with this cart... First up.. A wedding layout. 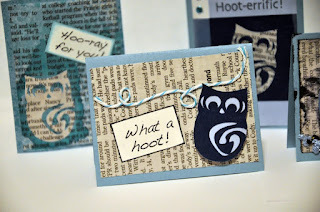 This set of owl cards which can be seen HERE! 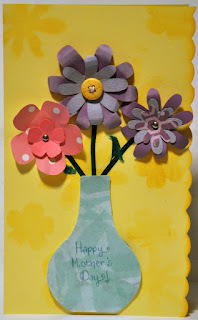 This flower card for Mother's Day which can be seen HERE! 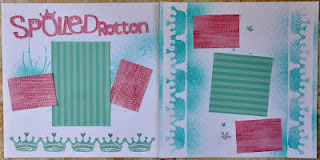 This crown layout which can be viewed HERE! 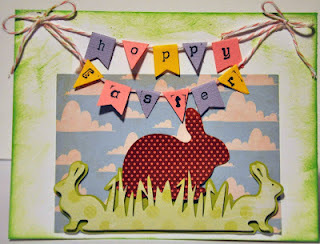 And this Easter card which can be viewed HERE! I hope you'll look at this cart and give it a chance if you haven't really taken the time to look it over before. It's got some great stuff on it! Thanks for stoppin' by today and have a great day! What fantastic projects! You really did an awesome job! I love that you made both cards and LOs with the same cartridge! s We am so glad you are on the Cooking With Cricut Design team with us! You are so creative and have loads of talent! Be sure to head over to Jamie's Blog to leave her some bloggy love! Be sure to come back tomorrow as Chef Madison announces the winners from our last challenge. Don't forget about our two current challenges: Our Die Cut and or Stamp Challenge and our Cricut Challenge! Just click the links at the top to join the fun! Thank you for making us a part of your crafty time! We appreciate you all so much! Thanks for sharing this. I have a gypsy but haven't really looked at all that this cart offers. Thanks for sharing. What a great showcase Jamie! Thank you for sharing your creativity and reminding us of all this great cart and the Gypsy have to offer! Thank you for sharing your projects and using the wanderings cart...4got I had that one....Great job! Great cuts and projects. This is a great cartridge. Thanks for sharing the showcase. 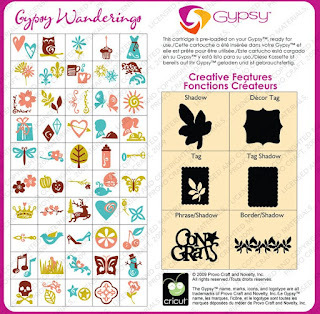 Thanks for showing great ideas with Gypsy Wanderings.